So here we are. The point where the written fiction joins up with the audio series. It's here I'm thinking - "This doesn't need to be a full retelling of the audio." Sure, the main plot points still need to be in place. I made sure they were. But the written fiction, as I've said before, was more about being a behind-the-scenes type story. What happened between the audio episodes. So, for the audio episodes themselves, it would be interesting to get more into events happening at the same time but not covered within the audio themselves. Yeah, the main points of the audio would still be there. That's the whole point of including them in the first place. More would be happening though. Take, for example, the very start of Act 7. The Daleks are in the middle of taking over the cruiser the stormtroopers arrived in. With the audio, we only ever get a small peek at that scene, and without ever knowing the Daleks are the ones causing the mayhem. With the written fiction, we're following them throughout the cruiser as they tackle multiple squads and groups of stormtroopers. Next up was another episode exclusively following The Doctor. Since he doesn't have anything that needs his attention, he is just scouting around as usual and comes across something interesting. As per his curiosity, he explores. As per his exploring, he manages to get himself into trouble. I wanted to include this little bit about The Doctor as, despite being something new to him, it is still within his world of knowledge. And that was something I wanted to show before sending him into an unknown place. Things start to get moving as DarkRula is able to move on and The Doctor arrives in The Ark's main hangar, which the Daleks are not happy about. I also decided to add a bit of an extra part between audio episodes 1 and 2. Just a bit to show a bit of information transfer. Kronis recognising the Daleks by name, and him showing The Doctor a lightsaber. The second audio episode starts in Act 7 and runs through the entire of Act 8. The Doctor looks up on the TARDIS, and again there is a new part added in the middle so it doesn't look as though the Daleks were right on top of the TARDIS's location when they found The Doctor. As for Kronis, he's in the middle of talking to DarkRula when the Daleks attack. So all three are in place for this event. DarkRula listening in on the comm, The Doctor watching from the overview of the Dalek command room, and Kronis on the bridge of The Ark ready to accept his fate. He knows there is no winning. Fortunately he told DarkRula of The Doctor and the Daleks. Then he gets killed by the Daleks. Since most of the second audio episode had been played out in Act 7, Act 8 needed a bit more to keep it going. So why not dive into more of DarkRula's past? A week after the event at the Thunder Strike Delta base, Kronis takes DarkRula to the main Jedi base of Ilum. The cruiser during that time had been repaired at a Jedi maintenance base, and Kronis had received instructions to return to the main base. It was also on this base that DarkRula had heard the fact that his old home of the Thunder Strike Delta base had been destroyed. Not that he knows who did it. The Mandalorians do. As mentioned in audio episode 4, Skirata had been friends with Kronis. Kronis had contacted Skirata and told him of DarkRula, and of the base who would rather remove a person who made a mistake than teach them how it was wrong. So Skirata had organised a lightning raid on the base. Kronis suspected who it might have been, but never found out the truth. I'm revealing this as I'm unsure it will ever get mentioned within the story. It also leads me to say that after audio episode three, we will be seeing more of the Mandalorian fear of the Daleks, and the doubt about serving them. So we come to see that the Jedi now accept older students, but first they have to pass the test. This test is the same one the younglings face in The Clone Wars TV Series Season 5. To face yourself and learn to face that what you fear. If older students fail the test, they are unable to become Jedi. Hardly anyone had been accepted through that route, with most still being selected at a young age. The Jedi still fear that route, as history has shown that starting Jedi training at an older age can lead to a more darker path. Within this alternate continuity, there have been five attempts to reinstate the Jedi Order. The first with Luke Skywalker not soon after Return of the Jedi [even though information on that is nearly non-existent I'm still using it as one of the five]. Three other attempts failed, so the Jedi Order we see here is attempt number five. And considering it has lasted more than one hundred years, it is assumed to have worked. So we see DarkRula accept what happened to him at the Thunder Strike Delta base, and also a bit of his training at Ilum. Throughout these flashbacks DarkRula is having, he quietly makes his way to the bridge. Once he reaches the bridge, and sees Kronis again. After a bit of an emotional moment, one last image presents itself. DarkRula and Kronis on Tatooine, with that image changing to reflect the coming change of DarkRula and The Doctor visiting Tatooine in the future. That being audio episode 3. The meeting of DarkRula and The Doctor happens, and the Federation come to call. The Federation have moved into a new level of distrust for DarkRula now, and I wanted to show the strain of that relationship now that the only anchor that held it together has gone. With the Federation taking over The Ark, DarkRula manages to bluff them off it and hold it for himself - something the Jedi insist later might not have been the best idea. The Mandalorians were aiding the Daleks behind the scenes, and so now they need to find them. They do so out of fear for what they are capable of, and the Daleks know it. A battle ensues between Tir LeRane with two other Mandalorians and the Daleks after a clash of words. LeRane figures the Daleks might as well be taken out, and his two comrades agree, once they accuse him of all their failings. The three try to gather as much information as possible on taking the Daleks out. However, once it comes to Skirata taking over, he does indeed agree to be under their command. He does so to protect DarkRula, just like he destroyed the Thunder Strike Delta base to protect him. Despite the two never meeting, Skirata feels a bond to DarkRula - as though it passed over when Kronis died. Of course, since the death of Kronis was dealt with in Act 7, Act 8 needed its new Dalek Fire. And so the fates of the Mandalorians became that Fire. Act 9 deals with some of the plots from before the audio episodes. 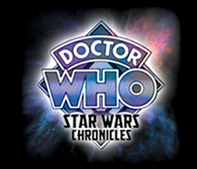 We start with Dalek Rizon on Tatooine, who strikes a deal with Thalos that allows the Dalek to work without interruptions on a new trap for the Doctor. This is again moving closer to setting up when I cover audio episode 3. A few more of these are planned, which will lead right in to audio episode 3's beginning. We get a bit of set up of tension between DarkRula and the Jedi Council, as even that relationship doesn't seem as though it can last. The Jedi order DarkRula to Naboo to continue the mission the Trade Federation had set him, though this time be a bit more peaceful in communicating with them. The Jedi also note The Doctor's appearance, and discuss who he is. Naboo isn't threatened in any way. It was purely to get trouble stirred up, the Federation yet again trying to get one over Naboo. This entire act is based on lies. From all sides. Dalek Rizon lied to get Thalos to trust him. The Jedi hide secrets from DarkRula. Act 10 sees things get more interesting, with Cyrillia coming into play again. The Jedi order DarkRula to return to the temple - somewhere he hasn't actually been in quite a while. But when there, they give him a mission that could have easily been given over a transmission. The task is simple enough. Go to Cyrillia and get Jek Nori back. Well, it would be simple - had the Daleks not arrived as well. Since DarkRula had convinced The Doctor that he wouldn't be needed, it was easy for him to not reveal the true identities of the attackers to The Doctor. Of course, he had to think to come to that thought. He also had a revelation that Kronis already had. He had heard that the droids were once people, but realising that Jek Nori shared a friendship with one made him think about that The Doctor had said to him upon first meeting. "Surely you must know of the emotional contact between man and machine?" DarkRula has never given any machine any thought than using it as a tool. A ship, a droid, anything mechanical, he has saw them as just something to use. With what he now knows, it's possible he could start thinking a bit different. Upon reaching the Scimitar, he sees the Mandalorians examining it. He uses the Force to pull it out of their reach, and blasts back to The Ark. Meanwhile, the Mandalorians and Daleks have succeeded in what they came for. The technology of turning people into droids. This becomes something else the Daleks use, as they are starting to dwindle in number. We get a bit more on Jek Nori's condition, and a bit more distrust between DarkRula and the Jedi Council. And it seems as though a rift will soon happen as we get into Act 11 and DarkRula is left waiting for something to do. The Doctor easily tired of waiting, curious was he about the Jedi Temple. So of course he sets to wondering. And gets caught by the Jedi. They question him about his activities. Zabaran gets a little too into the investigation, treating it more as a serious matter than just a conversation. It shows that the pulls of the dark are still around, even if this is the longest the order has survived for over a thousand years. Once Kanar Tee Vol gets involved, the investigation gets on a more calmer note, and after a bit of confusion is sorted out, the Jedi fears about The Doctor are gone. So they set him on a mission to try and find the person they confused him with. The thief that stole from the Jedi Temple. Which The Doctor does, with DarkRula's help. Once that is over, a new mission to Forsaad is to take place. The Doctor convinces DarkRula to let them take the TARDIS down to the surface once they reach the system Forsaad is in. Instead of getting to the surface of Forsaad, the two end up on Qiilura. This is what episode 3 of the audio series would have been had I wrote it. And so act 12 commences. Thanks to what actually happened it audio episode 3, I was able to start the set up for the TARDIS going haywire in this act. Originally they would have just arrived to explore, trying to find likely places the Daleks might be, and stumble upon the plot to kill the gurlanins. Most of the episode stays the same, but the talking wouldn't have been quite so long in some places. The Doctor and DarkRula arrive on the planet, try to find someone, and run into the gurlanin Colsor. She explains about the war between them and the Trade Federation, and DarkRula agrees to put a bit of fear into them. After a scout of the Federation base, in which he was willingly allowed to enter by a lone administrator, DarkRula sees the bombs which changes the course of the plan. A controller for the bomb must be on the planet, and they reason the mansion on the hill is a good place to check out. The Doctor is chosen to go, and while the rest remove the bombs, he destroys the controller but also sets the bomb off. Which is on a timer. After contact with The Doctor, DarkRula gets the administrator out - who wanted to remove the last bomb - just before the place explodes. Once everyone is back together, the gurlanins get to plant the bombs on a Federation-owned target, and the administrator no longer wants to be a part of the Federation. DarkRula offers for her to stay with them, but she refuses due to the Federation ties DarkRula has. If you're seeing a similarity with a certain series within the Star Wars universe, it's purposefully there. I've used quite a lot from the Republic Commando series over this series - mostly for its representation of the Mandalorians - and this was the largest mirroring so far of that series. I made sure there was enough different so it wasn't a blatant copy, but with enough references for those who would recognise them to enjoy the mirror. We are getting close to the end of this now, and part four will be the last. All those future stories probably won't take up so much space as these last three posts have done. The future of the series is upon us, then. Fifty episodes, and the old episode system changes to a new one. The place of the uploads now moves, and a number of stories are yet to be told. Part four will reveal the secrets of the future. Not all of them of course, otherwise the series wouldn't continue. Or at least the suspense would no longer be there.